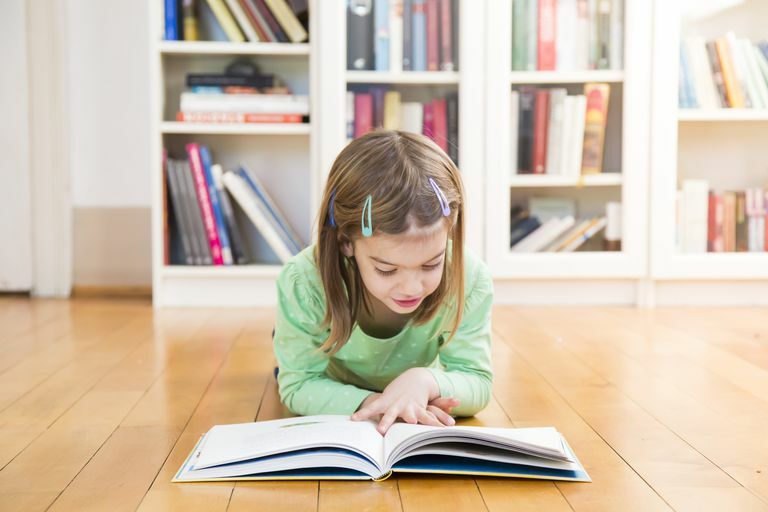 Motivational speaker and author Brian Tracy says,"“Reading one hour per day in your chosen field will make you an international expert in 7 years.”​ If your chosen field is homeschooling, spend some time each day reading from the books collected below. We've included some of the most helpful references for homeschooling parents, along with recommended reads for homeschooled students. When you’re new to homeschooling, everything about the endeavor can seem foreign and overwhelming. Although every family's homeschool experience is unique, getting a practical overview of what a typical homeschool experience looks like can help you prepare. Homeschooling: The Early Years by Linda Dobson is written for parents who are homeschooling children ages 3 to 8. However, it provides a wonderful overview of homeschooling in general that's great for new homeschool parents with students in a much wider age-range. The First Year of Homeschooling Your Child: Your Complete Guide to Getting Off to the Right Start by Linda Dobson is another highly recommended title for parents new to or considering homeschooling. The author discusses topics such as learning style, putting together the right homeschool curriculum for your family, and assessing your child's learning. So You're Thinking About Homeschooling by Lisa Welchel is an excellent read for homeschooling newbies. The author introduces readers to 15 homeschooling families, each with their own personalities and challenges. Find confidence in your decision to homeschool by taking a peek into the lives of other homeschooling families. The Ultimate Guide to Homeschooling by Deborah Bell begins with the question, "Is homeschooling right for you?" (The answer might be "no.") The author outlines the pros and cons of home education, then shares tips, personal stories, and sage advice for parents with students of all ages, all the way through the college years. Even veteran homeschooling parents will appreciate this title. No matter where you are in your homeschooling journey, you may face moments of discouragement and self-doubt. The following titles can help weary homeschool parents get through these times. Teaching from Rest: A Homeschooler's Guide to Unshakable Peace by Sarah Mackenzie is a faith-based, inspirational read that encourages homeschool parents to focus on relationships, add margin to their days, and simplify their approach to teaching. Lies Homeschooling Moms Believe by Todd Wilson is a quick, easy read designed to refresh homeschooling parents. It's filled with original cartoons by the author that will give readers a much-needed laugh at the realities of the homeschool life. Homeschooling for the Rest of Us: How Your One-of-a-Kind Family Can Make Homeschooling and Real Life Work by Sonya Haskins reminds parents that homeschooling is not one-size-fits-all. She shares stories and practical tips from dozens of real-life homeschooling families so that readers can learn to evaluate their familes' needs and set their own goals. Planning and organizing are words that can create a sense of dread for many homeschooling parents. However, creating a schedule and organizing your homeschool doesn't have to be difficult—practical tips from these homeschooling titles can help. Blueprint Homeschooling: How to Plan a Year of Home Education That Fits the Reality of Your Life by Amy Knepper shows readers how to plan for an entire year of homeschooling. She takes readers step-by-step through the planning process, working from the big picture, then breaking each step into smaller, bite-sized pieces. 102 Top Picks for Homeschool Curriculum by Cathy Duffy, a highly-regarded curriculum expert, makes it easy for parents to choose just the right curriculum for their children. 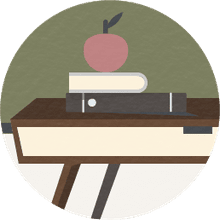 She helps parents learn to recognize their teaching style and their child's learning style, making it easy to match curriculum choices to your specific needs. There are many approaches to homeschooling, from a school-at-home style to Montesorri, to unschooling. It's not usual for a homeschooling family to start out following one style and evolve to another. It's also common to borrow philosophies from a variety of styles to create a unique approach to homeschooling that suits your family's needs. That's why it's important to learn as much as you can about each homeschooling method, even if it doesn't sound as if it would be a good fit for your family. You may not choose to strictly follow one method or another, but you may discover bits and pieces that make sense for your family. The Well-Trained Mind: A Guide to Classical Education at Home by Susan Wise Bauer and Jessie Wise is widely considered to be the go-to book for homeschooling in a classical style. It breaks down each of the three stages of learning recognized in the classical style with tips on approaching core subjects at each stage. A Charlotte Mason Education: A Home Schooling How-To Manual by Catherine Levison is a quick, easy read that provides a thorough overview of the Charlotte Mason approach to home education. A Thomas Jefferson Education Home Companion by Oliver and Rachel DeMille outlines the homeschooling philosophy known as Thomas Jefferson Education or Leadership Education. The Unschooling Handbook: How to Use the Whole World As Your Child's Classroom by Mary Griffith offers a fantastic overview of the unschooling philosophy of home education. Even if you never envision your family as unschoolers, this book contains useful information that any homeschooling family can apply. The Core: Teaching Your Child the Foundations of Classical Education by Leigh A. Bortins explains the methodology and philosophy behind classical education as it pertains to Classical Conversations, a nationwide home education program designed to help parents educate their homeschooled children in the classical style. These books about homeschooling high school help parents assist their teens in navigating the high school years and preparing for college or the workforce and life after graduation. The HomeScholar Guide to College Admission and Scholarships by Lee Binz helps parents guide their students through high school and the college admissions process. It shows parents how to design a college-prep high school education and seek out opportunities for merit-based scholarships. The Ultimate Guide to Homeschooling Teens by Debra Bell contains charts, forms, and resources for guiding your teen through high school, scholarship applications, and college admission. Senior High: A Home-Designed Form+U+La by Barbara Shelton is an older title, written in 1999, that continues to be highly recommended in the homeschooling community. The book is filled with timeless information for all kinds of homeschooling families. It offers practical tips for a gentle approach to homeschooling high school and translating real-life experiences to high school credits. One of the biggest benefits for homeschooled teens is the ability to take ownership of and direct their own education. Homeschooled teens can hone in on their strengths and interests to design a high school education that prepares them for life after high school. These titles offer teens a perspective on self-education. The Teenage Liberation Handbook: How to Quit School and Get a Real Life and Education by Grace Llewellyn is an edgy title aimed at teens with the central argument that school is a waste of time. Despite its bold message, this book has been hailed in the homeschooling community for years. Written for a teen audience, the book explains how to take charge of your own education. The Art of Self-Directed Learning: 23 Tips for Giving Yourself an Unconventional Education by Blake Boles uses engaging humor and practical tips to inspire readers to craft their own educations. Hacking Your Education by Dale J. Stephens is an unschooled graduate who shows readers through his own experience and that of others that not everyone needs a college degree to learn and succeed in their chosen career field. Note: This title does contain profanity. It seems that every book and television show assumes that all kids attend a traditional school. Homeschooled kids can feel left out at back-to-school time and throughout the year. These titles, featuring homeschooled main characters, can reassure homeschoolers that they're not alone. Azalea, Unschooled by Liza Kleinman features 11- and 13-year-old sisters who are unschooled. Written for kids in grades 3-4, the book is great for homeschoolers and those curious about what unschooling may be like. This Is My Home, This Is My School by Jonathan Bean is inspired by the author's experiences growing up homeschooled. It features a day in the life of a homeschooling family along with a section of photos and notes from the author. I Am Learning All the Time by Rain Perry Fordyce is perfect for young homeschoolers whose friends are starting kindergarten. The main character, Hugh, reflects on how his school day looks different from that of his traditionally-schooled friends. It's also a great book for helping those friends understand homeschooling. Beyonders by Brandon Mull is a fantasy set in the land of Lyrian. Jason meets Rachel, who is homeschooled, and the two set off on a quest to save the strange world in which they've found themselves.